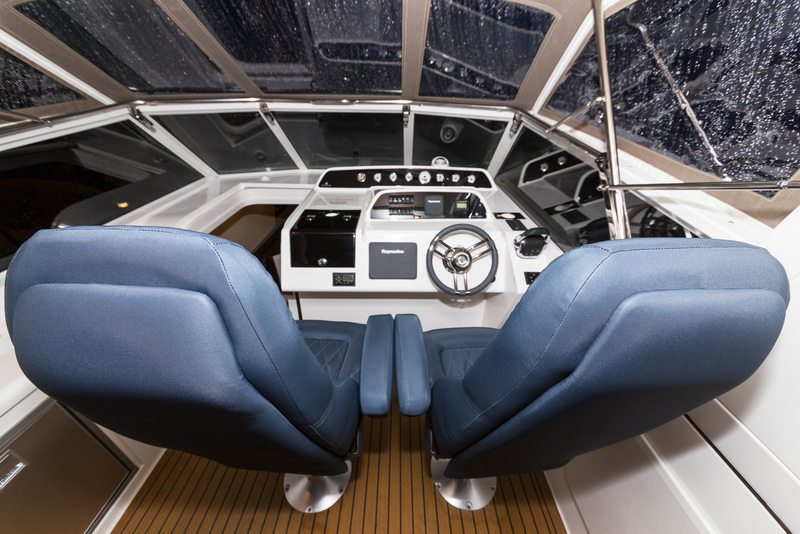 The aft cabin layout offers an abundance of living space, making it practical for inland use, whilst the semi displacement hull makes for comfortable coastal use. 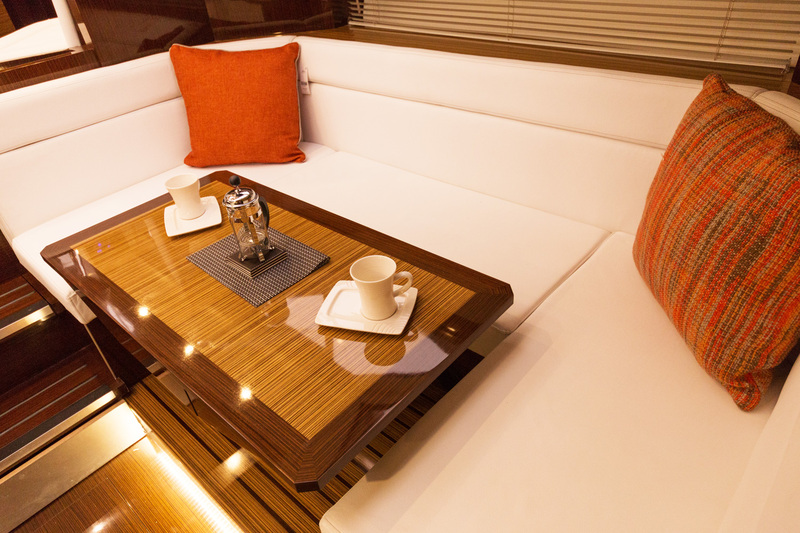 Sleeps 4 comfortably in 2 cabins with optional occasional accommodation in the dinette / saloon. Alternatively choose a large split galley with extended saloon which boosts the option of a well-equipped galley and additional storage. 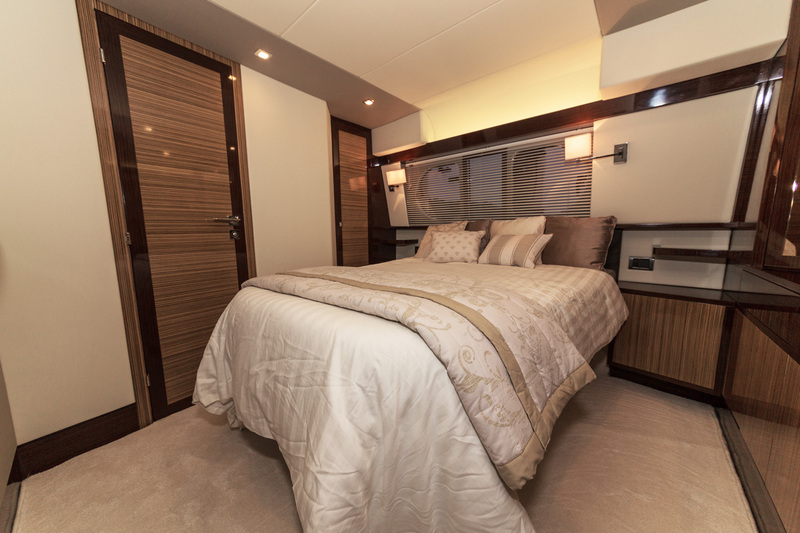 With extensive views from the transom, innovative storage built in and comfortable doubles you’ll be assured of a good night’s sleep on board. The master cabin is accompanied by en-suite, with separate shower room. Whether it is classic or contemporary, the choice is yours. We offer a number of different woods, finishes and fabrics to create your own personalised living space. As part of the build process we put you in the driving seat and encourage you to attend the factory to perfect your Westwood’s detailing. Our design team are at hand throughout to ensure your Westwood meets your needs.